Global Herbs Black Salt helps to soothe the digestive system whilst also calming the skin in summer months. 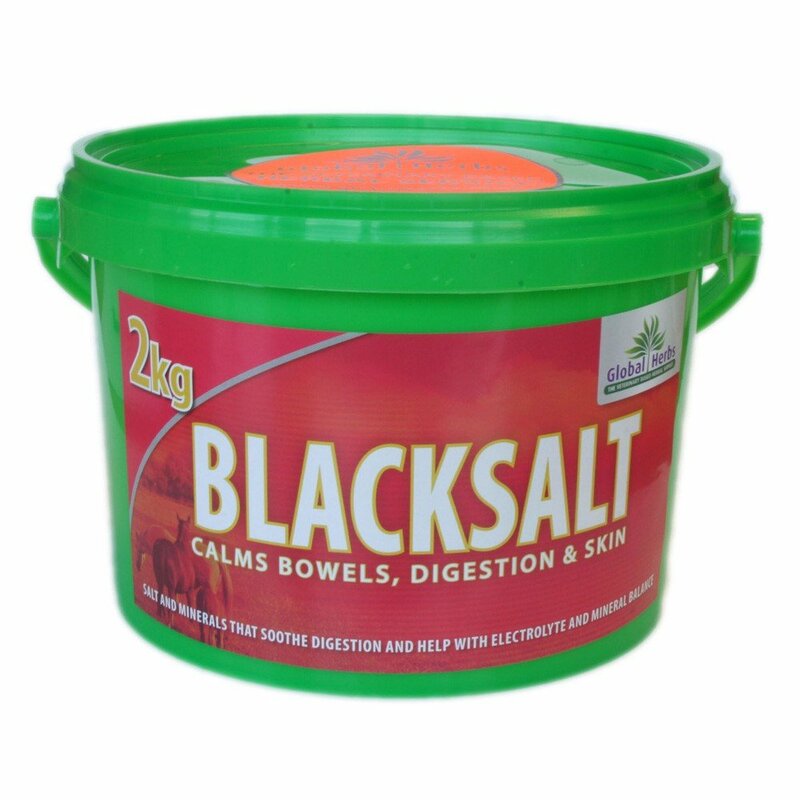 Black Salt has been used for centuries in the traditions of Ayurveda to soothe the bowels and calm itchy skin and has been incorporated into this supplement with great effect for horses. Global Herbs Black Salt contains natural traces of iron, magnesium and copper to create a calming tonic for the digestive system. It can also be used after exercise to replace lost salts and maintain normal fitness condition.